Four new fighters are arriving this month in a new series of WW1 Wings of Glory Airplane Packs - the Fokker E.V., Nieuport Ni.28, Macchi M.5 and Hannover CL.IIIa. 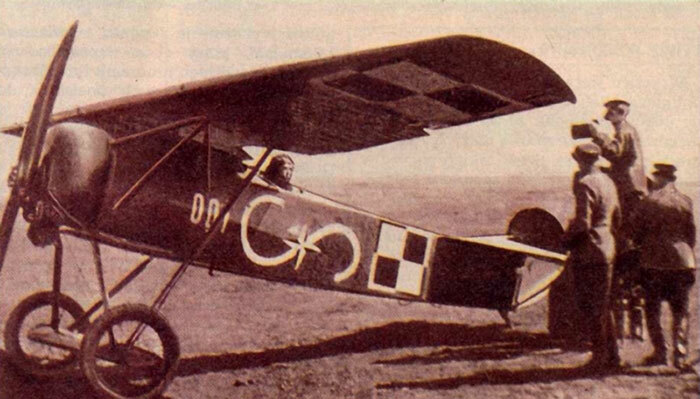 It's time to learn more about these aircrafts, starting with the Fokker E.V (also known as Fokker D.VIII), the last fighter type built by Antony Fokker for the German Fliegertruppe during WWI. The Fokker E.V (Eindecker - single wing, model V), a small parasol-winged monoplane, was developed to take part to the Second Fighter Competition at Adlershof, in May/June 1918. The prototype V 26, powered with the Oberursel UR.II engine, was regarded as the best of the rotary-engined competitors, and production started immediately. The first production airplanes were delivered to the Front in late July. Hans Goerth of Marine Feld Jasta III, with his Fokker E.V. The E.V. had a cantilever wing and had no external bracing wires. It combined survivability, firepower and adaptability in a sturdy airframe, and the performance was impressive. Despite the fact that the UR.II engine was obsolete compared to other powerplants at that time, the aircraft's low drag and light weight allowed it to be quite fast. The plane was nicknamed "Flying Razor" due to its head-on profile. The E.V. was armed with two 7.92 mm (0.312 in) Spandau MG08 machine guns. The first production E.V aircraft were shipped to Jasta 6. The new monoplane was also delivered to Jasta 1, Jasta 19, Jasta 24 and Jasta 36. 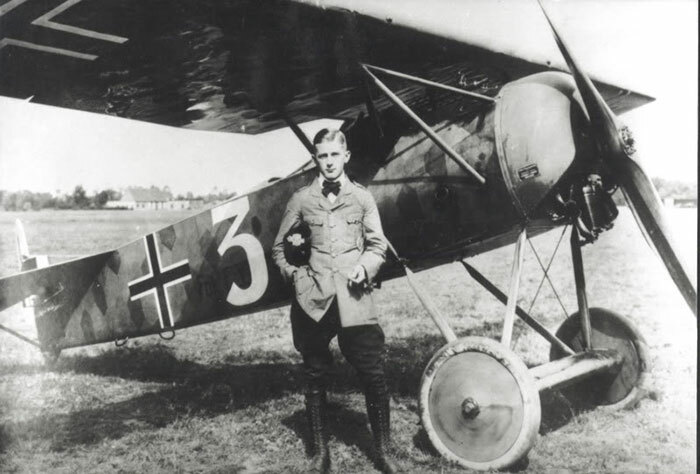 Leutnant Emil Rolff scored the first kill in an E.V on August 17, 1918, but two days later he was killed when his aircraft's wing collapsed in flight. After another E.V of Jasta 19 crashed, all E.V aircraft were grounded for investigation. Production was stopped, and all previously made E.V's were returned to the Fokker factory. The wing structure was strengthened, and workers were more careful with assembly procedures. 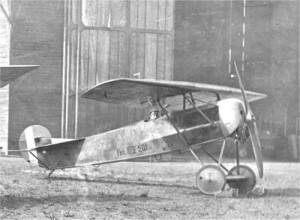 According to Fokker, the wing failures were caused by the army technical bureau, which had forced him to modify the original design by over-strengthening the rear main spar. This faulty design allegedly caused the wing to twist and fail. Fokker claimed that this defect was resolved by reverting to his original design. According to most other accounts, the source of the wing failures lay not in the design, but in shoddy and rushed construction. Fokker had subcontracted construction of the E.V wings to the Gebrüder Perzina Pianoforte Fabrik factory. Due to poor quality control, inferior timber had been used and the spar "caps", forming the upper and lower members of each spar assembly, had been placed too far apart during the fabrication. Because the resulting spars were vertically too large to pass through the ribs, excess material was simply planed away from the exposed upper and lower surfaces of the cap pieces, leaving the assembled spars dangerously weak. Other problems included water damage to glued parts, and pins that splintered the spars, rather than securing them. 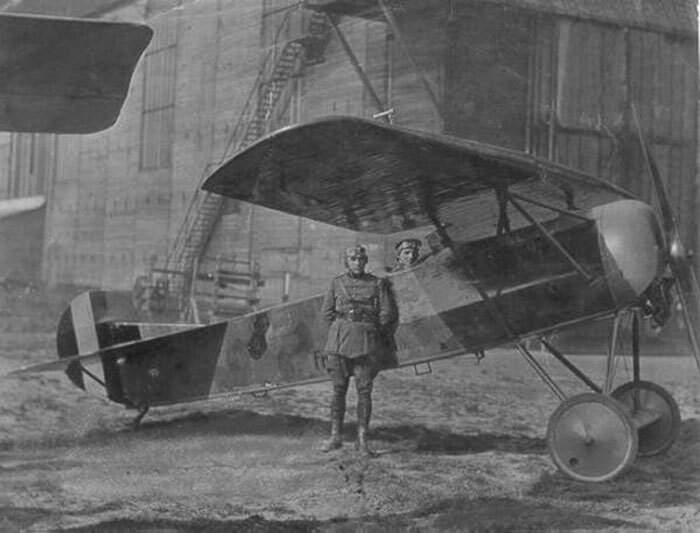 The aircraft returned to the front during October redesignated as "Fokker D.VIII". The letter D, which was used only for biplanes, indicated that the new wing was twice as strong. But the D.VIII came too late, because the war was ending. Fokker E.V "butin de guerre" serving the Belgium Air Force, with the pilot Van Cothem, in 1919. From over 350 units that were ordered, 289 Fokker E.V/D.VIII had been delivered by October, 8th 1918. Pending contracts could not be paid for, so the postwar German government was more than willing to let Fokker leave with his rolling stock of D.VII, D.VIII and C.I types (some of these having been accepted by the German government were among those spirited away). The Fokker E.V/D.VIII military service continued after the end of WWI. The Polish Air Forces flew E.Vs against Russian and Ukrainian forces in 1919. One of these planes was captured by the Red Army and used by the Soviet's until the mid 1920's. 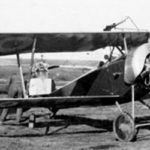 Some airplanes reached Holland, Italy, Japan, the USA, and England as trophies, in total all the E.V's/D.VIII's were scrapped in accordance with conditions set forth in the Armistice. Information sources: Wikipedia, Aviationshoppe.com, The Aerodrome. 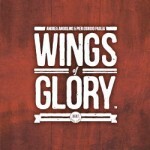 Images: Aero-Werkes, Photobucket, Belgian Wings, Samoloty W Lotnictwie Polskim.